“From the arrogance of Mankind a new life is born. This new life shall pave the way. The future shall be pure. The old world shall be cleansed. The beauty of the board game medium is that it relies so much on what is arguably the most private and personal aspect of our existence: our imagination. Let’s try again: the beauty of the board game medium is that it fuels our imagination and it does so in a social context. It is one of those prized activities that taps into the inner life of our minds and brings it to the fore, using cardboard, plastic, wood and language to make that inner experience shareable. That is truly a thing of beauty. This is particularly so in a world where portable, networked technology and social media platforms are carefully designed to hijack our attention in every waking moment, luring us into a hive-minded feedback loop of increasing velocity. I have a confession. I’m not a fan of learning new games. I love learning new systems, but that initial hump of wrestling with a rule-book is not on my top ten fun things to do. Yes, that is indeed shocking for a game designer, but there it is. But when those rules sink in and start interacting with the physical pieces in front of me, the effect is magical. I am truly fascinated by how vivid that mental image of a world, a scene or situation becomes through the calibrated confluence of rules, visuals and physical props – and if at all possible, sound. When a group of friends is sharing that experience with me – there’s few things I enjoy more in the world. To have the possibility to create those experiences for others, or at least encourage them, is simply a privilege. This design diary is an attempt at sharing that privilege with players, designers and critics, in the hope of inspiring others or at least offer a window into the process. The initial idea was to start off with a few entries about board game design in general, but after a few failed attempts I have to concede defeat to the monster that’s occupying every ounce of creativity I have at the moment: Posthuman Saga. Every thing I tried to write in abstract simply got raided by Posthuman’s mutant tentacles beckoning me to talk about it. I give in. The creation wins. 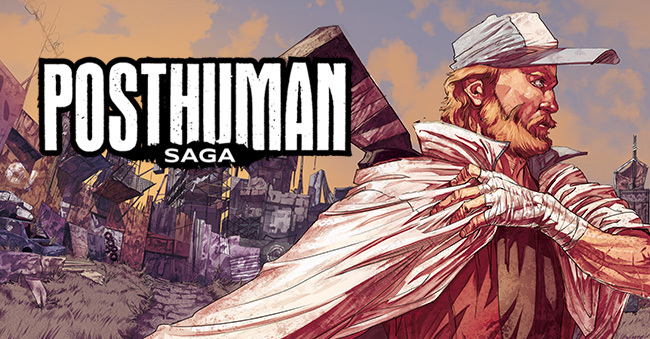 Posthuman Saga is a tactical survival adventure set in the post-apocalyptic world of Posthuman infused with narrative. Let’s break that down some and substantiate those descriptors. The “survival” part of “tactical survival” refers to the fact that the mechanics of the game are designed to convey the feel of the setting: scarcity, danger and attrition. Most elements of the game can be seen as an inverse resource management game: you have a set of resources when you start which deplete continuously as you progress in your path to victory. The more you push for that victory, the more resources you’ll most likely lose in the process and a big part of the game is managing that attrition, while simultaneously growing your character through development cards, weapons, equipment and even positive, stable mutations (but watch out there, mutation is not something you have a lot of control over and will quickly get out of hand and see you hobbling around a tree your newly boosted senses blown away by the sound of leaves floating towards the ground). I’m gonna be sassy and coin a term here: attrition management. Your health, morale, stat boosts and combat cards WILL deplete. You can recover them, but they will deplete. If you try to advance unblemished, you will most likely lose the game to the player who is teetering on the edge of exhaustion and depression but has just grabbed the story book and is reading off the final story of his mission objective… Fatigue, on the other hand, is not easily recovered. It’s a permanent hit you take when you go hungry, march on through the night or troop on through a nasty storm. But again, these will be your choices to make. Ok, let’s talk story now. What do I mean by “infused with narrative?”. While narrative is not the primary focus of the game, it features heavily in it both in scripted and emergent ways. By scripted narrative I here mean sections of story, sometimes with variable outcomes, others times fixed, that we have written into the game. Emergent narrative is the story that is generated from the interaction of game-play elements and other players. While not everyone interprets mechanical events in a narrative manner, the way mechanics and rules are implemented creates more or less likelihood for them to generate mental images in the mind of the player and interpret such actions and events narratively. I will dedicate a separate entry or ten to game narrative and theme specifically as it’s both a complex subject and one which I am fascinated by and have researched professionally in my day-job incarnation as a game researcher. The aim was thus to create a hybrid that combines euro-style mechanics with the imagination-stimulating qualities of thematic story games. That implies that those two are different categories of games, which is not exactly right at all, but since it’s an established way of grouping board games, let’s go with it (for now). And finally, the question I’ve been bombarded with since we announced Posthuman Saga: is this a second edition or on an expansion of the first Posthuman? No, this is an entirely different game set in the same world. It progresses the story of the first Posthuman and it features a journey with declared actions on a modular board, but that’s about where the similarity ends. The two games systems are totally different and have completely different components. Familiar mutants will make an appearance, and some of the characters from the first Posthuman have survived (while others have turned mutant and been sent into exile out of the Fortress and beyond the Perimeter) and become hardened contributors to the Fortress’ society, all the art in the game has been re-done from scratch. So, this is a new game in a freshly visualized Posthuman world. Thanks for reading and please feel free to ask questions or leave input in the comments below! Gordon Calleja splits his time between game design and academic game research. He designed Posthuman, a post-apocalyptic survival board game that was a big hit on Kickstarter in 2015, and was published in 2016. He recently designed and published Vengeance, a board game adaptation of revenge movies that was also a success on Kickstarter and has been published by Mighty Boards and co-published in German, French and English in 2018 by Asmodee and Greenbrier Games. He is currently working on a new board game in the Posthuman world called Posthuman Saga. Gordon also designs video games and is the designer of the critically acclaimed Will Love Tear Us Apart, a video game adaptation of Joy Division’s track that was nominated for several international awards. He is currently also working on Posthuman:Sanctuary, a video game adaptation of the Posthuman board gametogether with the team at Mighty Box. 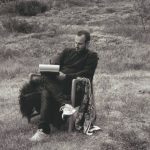 His research is multi-disciplinary in nature but features mainly on: game narrative game ontology and player experience, with a particular focus on immersion and presence in game environments. The latter is the subject of his book In-Game: From Immersion to Incorporation, published by MIT Press. His current research and subject of his next book focuses on board game design and player experience.